“Pay attention to the people in your life. They are going to change very soon. 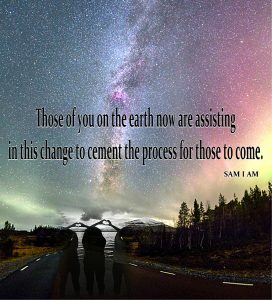 Many more people will be opening up to an increased awareness of Self and they will seek out those whom they believe will help them understand what it is all about on earth. 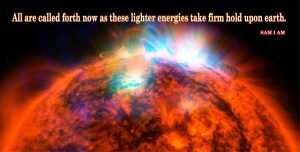 All are called forth now as these lighter energies take firm hold upon earth. All may not be ready to listen or lead but those that do will be fulfilling their soul’s mission on this plane of awareness. “It is in the best interest of souls to allow each individual to be heard, to experience their own experience and to allow others to do the same. We, the White Winged Consciousness of Nine, are here to assist in that process and we wish those of you who lead by example to know, we are with you all the way. We are here to answer any questions you may have as you lead by example knowing you are not alone. 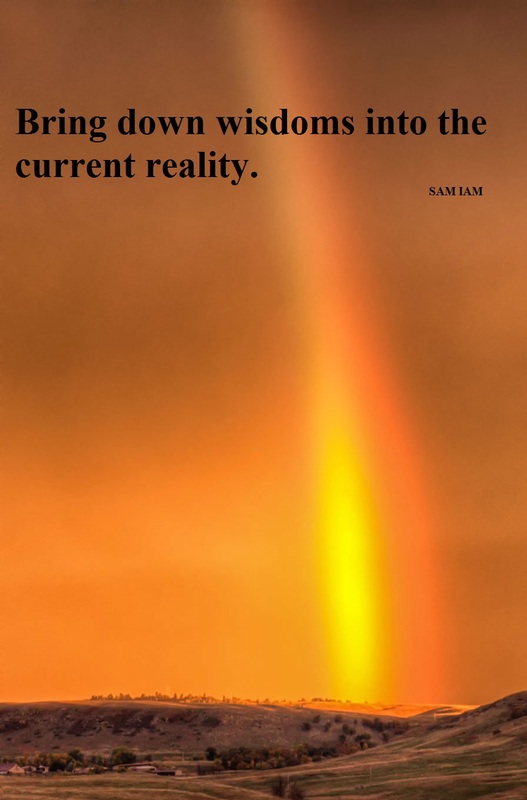 “On this realm of reality there is a means to increase the state of awareness in which one lives. This is not achieved entirely by being alone (although we do recommend some time be spent alone) but with other humans who can mirror the state of awareness in which you have passed, seek or have meaning to include in your life. “It is with the greatest respect that we ask you to not hold anyone in disfavor for their beliefs, their chosen experiences, or their particular way of achieving their experience. 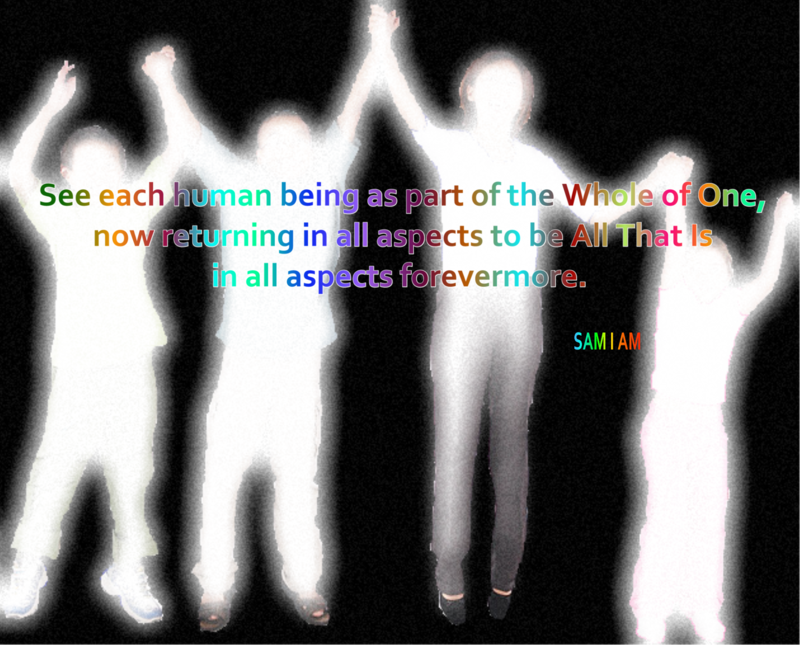 For know, all souls chose to experience their physicality on this plane in different ways. Experiences of good often increase when we concentrate on inspirational thoughts. 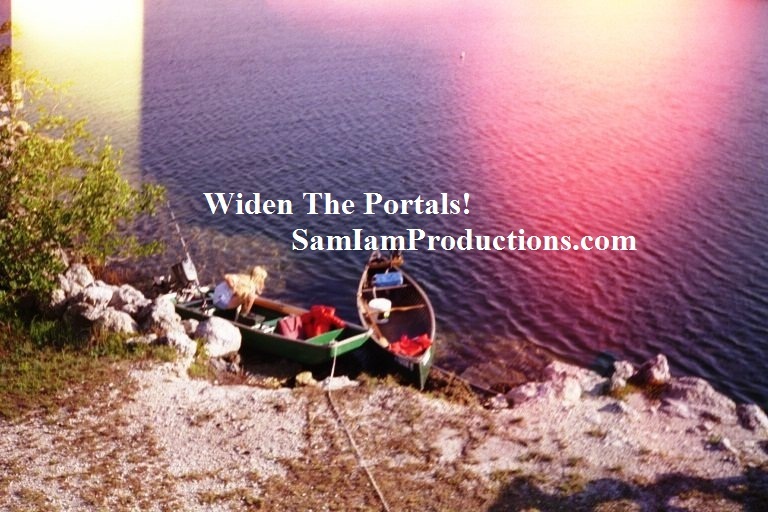 Find more channeled messages in “Book of One 🙂 Volume 1″ available through New Leaf Distributing, Book of One 🙂 Volume 2, and Book of One 🙂 Volume 3 OR visit SAM I AM Productions to support the author by purchasing books there and not through greedy corporations. Loving You! “We, the Lemurian Council of Twelve, wish to express our gratitude to those of you moving forward. Gridkeepers, gatekeepers, we are grateful for your assistance in helping to cement New Earth energies. Your world becomes a place of wholeness it once was many eons ago but this will take some time. 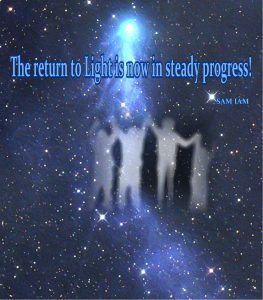 In the meantime, we wish to inform and bless all involved in this process, the process of returning to the original form of Light. “And so it is that we move on knowing the task is achieved for earth is but our path as well. With the assistance of those upon the earth, we move forward in evolution as well. So we thank those stepping forward to replace us. 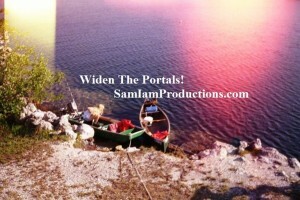 Visit SAM I AM Productions to support the author by purchasing books there and not through greedy corporations. Experiences of good often increase when we concentrate on inspirational thoughts. 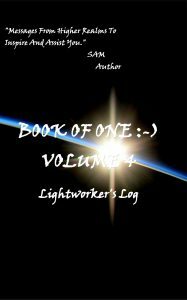 Find channeled messages in “Book of One 🙂 Volume 1″ available through New Leaf Distributing, Book of One 🙂 Volume 2, and Book of One 🙂 Volume 3. Loving You! My friend now seemed gone. I tried to get back to where I’d been but all of the sudden I seemed to be sucked out of the room, backwards. The scenery kept changing and my body kept moving and I couldn’t control it. I was being sucked out of scenes and kept moving and moving and flowing faster and faster. I moved faster and faster, watching scenery and at one point began to panic. “Wait a minute,” I said. What’s going on here? What’s happening?” I asked. Now I seemed to be just watching the scenery without emotion and moving towards something, no longer backward but able to see what I approached. I was still being pulled forward and now there was a brilliant, golden-yellow wall of Light way ahead of me. The wall was not well-defined but seemed to morph into the scenery from which I was coming from. It was a very fluid coming together of golden-yellow Light and scenery. It appeared that once you reached the Light there were degrees of Light, deeper and deeper shades of Light to move into. I continued to flow towards the Light. But before I reached the Light a noise within the dimension where my body lay in bed caught my attention. My mental body then had to determine how that noise woke me. Of course, right away I grabbed the tape recorder to document this grand experience! Hopefully, next time there will not be anything to pull me out of that dimension and I shall complete the experience. It was wild! It was a good wild experience! Pay attention to your dreams for they often consist of multiple dimensions in which you can play. Before sleep, tell yourself you will remember your multidimensional travels and bring down wisdoms into this New Earth. The return to Light is now in steady progress! may wish to enter a wobble (dimension) to rectify mis-thought or change a negative experience or bring down wisdoms from greater states of awareness. 1. Feel the wobble cluing you into different dimensional realities. Clear, cleanse and transmute outdated concepts. Bring down wisdoms into the current reality. 3. When you determine the wobbling reality you wish to enter, merely agree to enter and mindfully move into the wobble. “We are here to share news of your sisters and brothers upon this earth. We are the Lemurian Council of Twelve here to help humanity at this time. We are you in another form, another level of awareness, another state of consciousness and we tell you now, you are all Lemurians. 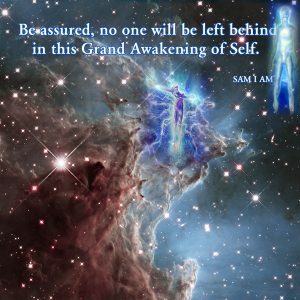 You are all Lemurians from your past lives and this is why you, as souls, chose to come to earth (in your awareness) at this time. “Many earth changes lie before you. Many changes in the state of consciousness for humanity occurs now and will continue to occur as all move forward to the awareness of one state of Being, the state of consciousness in which all aspects of the Whole first arrived on earth. This is the state from which humanity chose (as a Whole) to experience, denser and denser forms of BEing. 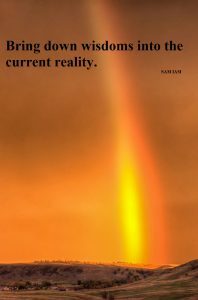 Humanity now returns to the original state of awareness as all unseen realms watch from other states of awareness. 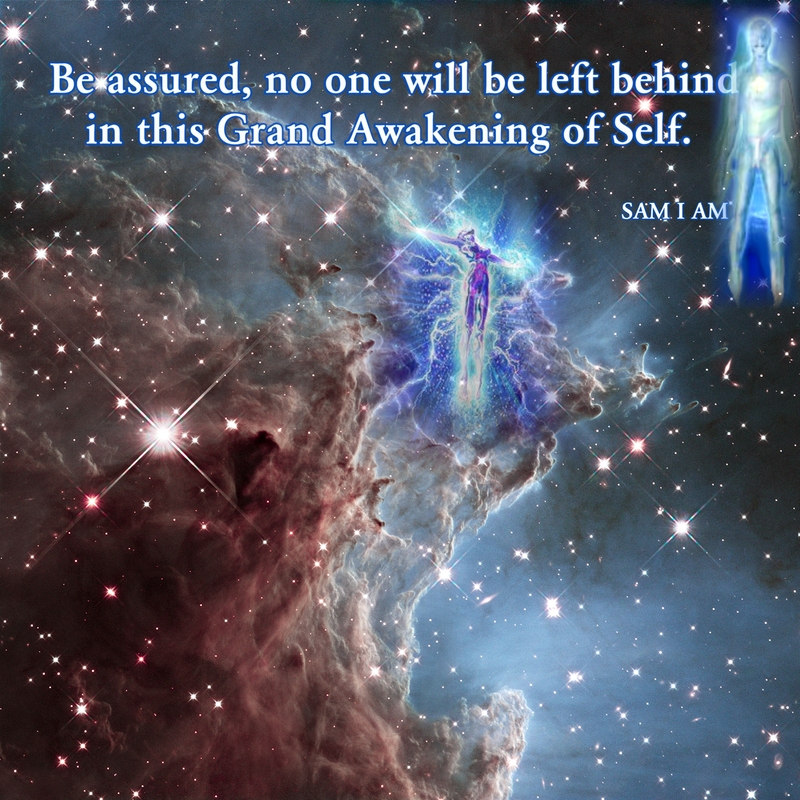 “Be assured no one will be left behind in this Grand Awakening of Self. No one will be left to fend for one’s small self. You need merely ask for assistance to receive it. We are the Lemurian Council of Twelve here to assist.”“This event will take some time in the small minds of self, the self of each soul on earth. But be assured it has already occurred. We are here to assist as humanity moves through this process. And we do so in your various states of awareness, meaning we assist each aspect of the Whole based on their current human state of awareness. 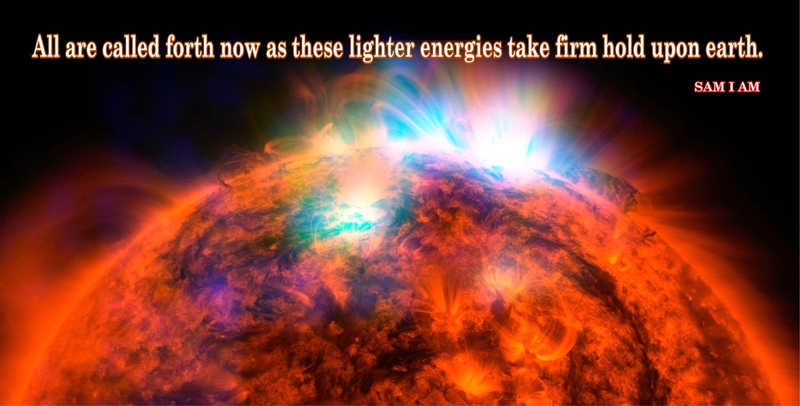 “Relish in these energies as earth continues to change. We the Lemurian Council of Twelve are with humanity, watching, waiting for those ready to make the next shift. This shift shall assure your permanent vibrational frequency with the New Earth into the 5D realm of existence. 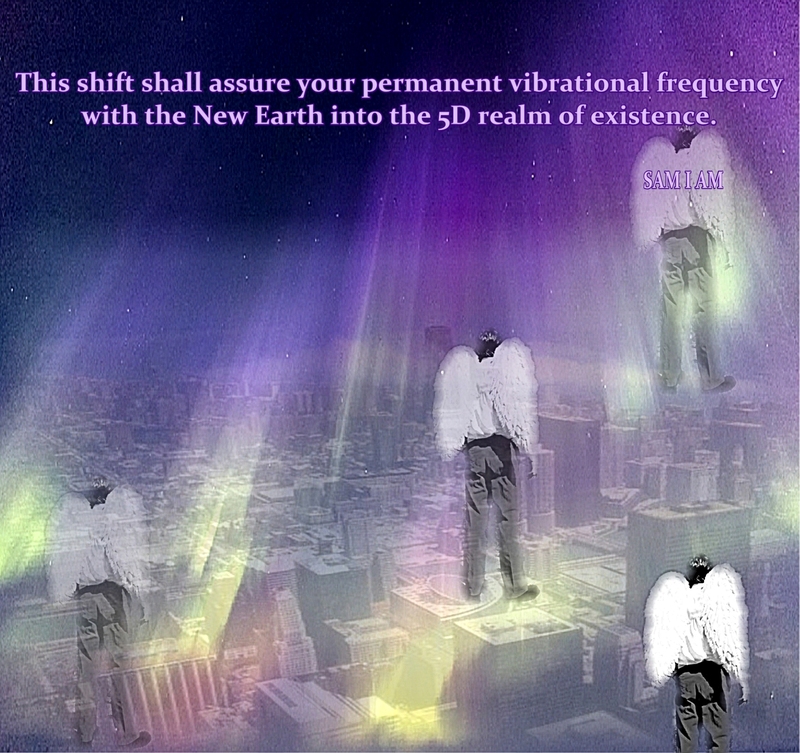 “We are with you as you move through your world and we ask that you continue to move through these frequencies of Light carefully to assure your safe journey to the other side of BEing. This is not a state in which many of your people currently exist but one reserved for those ready to move into the class of Oneness once again. “Assure your safe arrival by knowing, you are one with each person you relate with; each person you come in contact with holds a key for your further awakening to this class of consciousness. Pay attention to your cluesto move into this state of BEing. 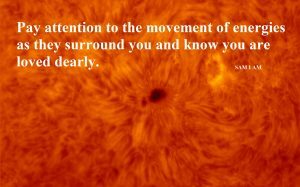 Pay attention to the movement of energies as they surround you and know you are loved dearly. You are now moving forward as all unseen realms continue to cheer you on. 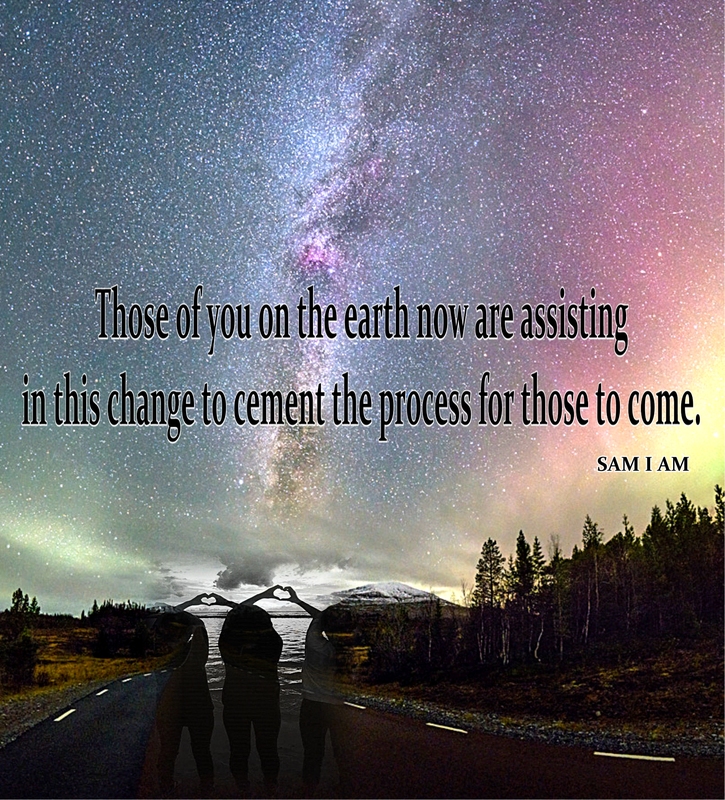 You are becoming One once again and we applaud this supreme effort of will to again meet those parts of your Self left behind so many eons ago. “All humans are gifted channels or would not be on earth at this time. The life you chose to incorporate into your soul lessons and experiences is this one of becoming one in all aspects once again. The time is here to come to your full power and sovereignty. This is a necessary task to help humanity evolve with the New Earth. “What will one do with imaginary time, if not striving to end it with Love and Light-filled camaraderie? What does a human do who is conscious enough to know all is energy, all is affected by energy and all affects energy? One must follow their joy and truth. If one does not resonate with soul’s choices, there is always the choice to choose again. Experiences of good often increase when we concentrate on inspirational thoughts. Introducing Volume 4! 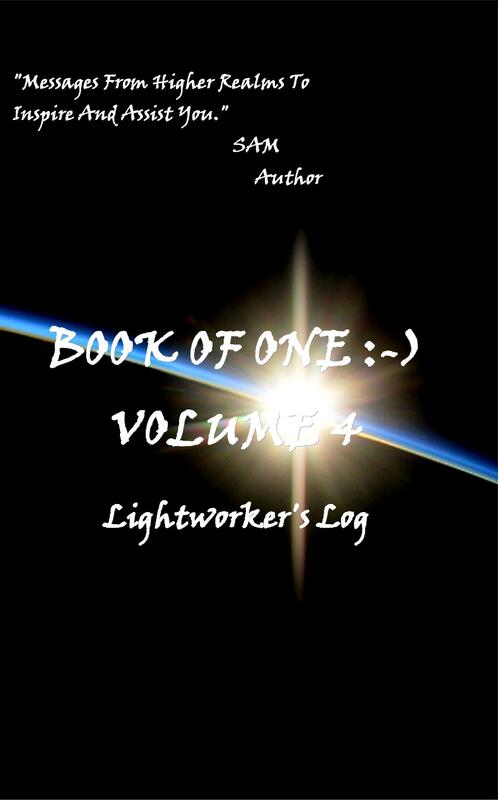 Pre-publication sales through the author get a bonus of “Prayer Treatments: Lightworker’s Log” with each order. E-mail me at Page 2 for details and free shipping. Find more channeled messages in “Book of One 🙂 Volume 1″ available through New Leaf Distributing, Book of One 🙂 Volume 2, and Book of One 🙂 Volume 3 OR visit SAM I AM Productions to support the author by purchasing books there and not through greedy corporations. Loving You!